We make Carbide Cutters used in wire cutting machines used extensively in the welding electrode industry. We also make carbide fitted Spinner dies used in these machines. 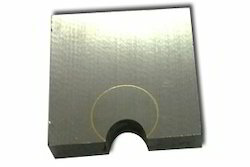 In general carbide cutters are extensively using in the welding electrode industries. We also make carbide fitted Spinner dies used in these machines.